In the past, platinum-based catalysts have been employed to reduce oxygen in the most conventional fuel cells. Although the promising results show platinum-based catalysts comprise several challenges in the large scale commercial products, the main drawbacks are the high cost of Pt-based catalysts, the electrode passivation due to the fuel crosses-over to the cathode, and the large over-potential. To overcome these issues, new approaches are employed in Bioenergy: Prospects, Applications and Future Directions using bioelectrocatalytic enzymes instead of Pt-based catalysts. Employing enzymes as catalysts on the cathode provide several advantages: enzymes are highly selective, show higher catalytic activity than Pt-based catalysts, are nontoxic, biodegradable, compatible with the living cells body and cheaper than most Pt-based catalysts. Next, the authors suggest that an alternative to recover energy from waste treatment is through the anaerobic treatment of effluents using a discontinuous reactor configuration, such as ASBR and AnSBBR, to produce methane. This reactor configuration allows greater operation flexibility and stability, improved process control, as well as shorter start-up. 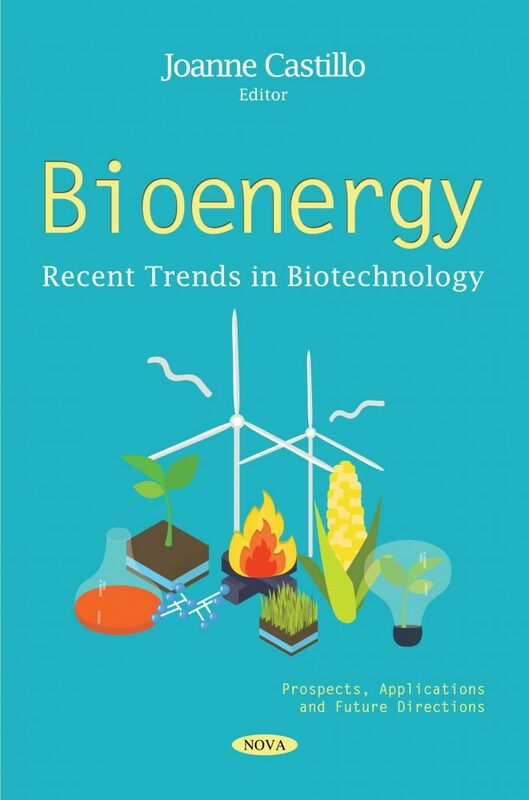 In this book, the authors study a mechanically stirred thermophilic anaerobic reactor (55 ºC) containing immobilized biomass, operating in sequencing batch or fed batch (AnSBBR), to treat cheese whey for methane production under thermophilic conditions. Algae is also an outstanding biomass source due to its ability to respond to the challenges of the future in terms of renewability, sustainability, availability, high growth and production rates and yield per unit area. The authors propose an alternatives for reducing process costs of algal biofuel production in the humid continental climate countries by using synergistic energy solutions within the entire production chain. An example of this could be carbon dioxide (CO2) added to algae cultivation system in a form of flue gases as a carbon source from the industrial power stations. In the concluding chapter, Miscanthus (Miscanthus x giganteus) is also proposed as a promising species for biomass for energy generation due to its high yields in Central and Northern Europe with few inputs. In this work, field experiments were established in two provinces of southern Spain (Granada and Seville), with the aim of assessing the adaptability and productive potential of irrigated Miscanthus x giganteus over a three-year monitoring period.